American Martial art style flicks are on the rise again after a quite time ,Now this is the sequel to the earlier ''Never Back Down'' which was OK but was marred by quick cuts and epileptic inducing filming. But when I heard of a sequel I was not as excited as I should have been ,that soon changed when I heard that Michael Jai White was starring ,not only that but he was directing. 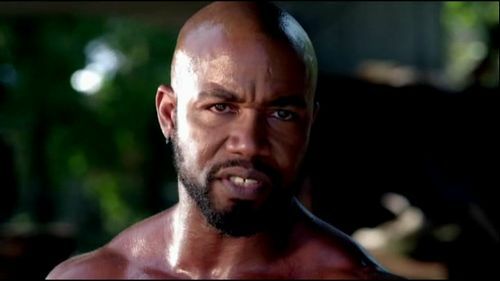 Along with stars like Scott Adkins ,Gary Daniels and Steve Austin ,Michael Jai White is bringing back those B-Movie films from the late 80's and 90's where men where men and fought with their fists. What you saw on screen is what you got ,raw action. Having starred in films like Black Dynamite , Undisputed 2 and Blood and Bone which showcased Mr Whites prowess as a fighter perfectly. Though stars like Steven Seagal and Jean Claude Van Damme still make action films ,these slightly younger stars have a edge on our 90's heroes,though I must admit Jean Claude Van Damme has been making some good films of late partly due to keeping in good shape and having good co-stars like Scott Adkins on occasion. 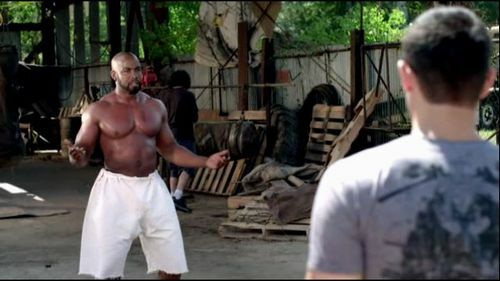 Now Michael plays Case Walker a ex -MMA fighter who is out on Parole from prison, Case is a quite man who lives in a old Junkyard where he has parked his motor-home, Case uses the Junkyard as a training ground to keep in shape. When he is approached by two young guys ,one who is Zack a boxer who has been told to stop fighting due to his retina getting damaged in his last fight ,if he gets hit in the head hard enough he could go blind. The other is Mike a High school wrestler who has been kicked of the team for brawling. These two hopefuls want to train with Case as they have heard he is the best. Case is of course reluctant and insults them to see how what their reaction will be, after some altercation Case wants to know who told them about him, it's here that they tell him that Max Cooperman told them if they want to enter the Beatdown ( a underground MMA fight competition organized by Max) that they need to train under a master and Case is that man. Case already trains two other guys ,Tim who's family struggles to make ends meet ,his mother works in a local nightclub to so Tim can continue to study. The other is Justin a young guy who has become ridiculed and stabbed and bullied by local thugs ,Case agreed to train him after he was chased after being stabbed straight into Case's training area. . The film takes the underdog story and adds some tension through the training sessions as not all the guys get on well together. When the Police come around one morning to intimidate Case ,telling him to move on ,and that he can't just park his home where he likes and live. Unperturbed by this the guys find a new place for Case to train ,not only that the venue is so large it becomes the host place for the Beatdown organised by Max . 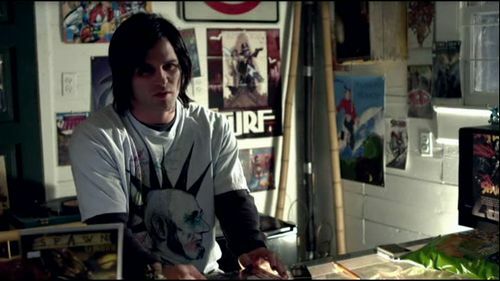 All goes well ,the guys are training and Max is selling tickets ,they all look set to make some money ,but it all goes pear shaped when Justin (our bullied Comic book store worker) gets a new found sense of power through his training and decides it's time for payback . When Justin turns up at Case's home after brutally beating the thugs that bullied him ,Case tells him he has gone over the edge and can not train with him or the guys again and that he should leave . Slightly upset by the proceedings Justin sets Case up ,notifying the Police where he is and getting him arrested . Everything looks set to fall apart ,but the remaining guys pull together and set about saving Case and getting even with Justin ,and the only way to do that is to beat him in the Beatdown. The outcome of this type of movie is always pretty much the same ,Honour wins the day,bad guys get there just deserves and people move on. Though not as dynamic to watch as say Blood and Bone or Undisputed ,the fights in this film are well thought out and shot ,not all our fighters look as professional in their scenes but unlike it's predecessor the seizures have stopped. Michael Jai White once again delivers a cool hard role and the supporting players do a good job of holding it all together, as a first in the directorial role for Michael Jai White it's a good effort and look forward to what other films he directs. IT may not blow your mind ,but with well choreographed fight scenes ,good production values (for a B-MOVIE) . A good beer and pizza flick . Blood and Bone - A stranger is in Town and he has a agenda. Undisputed 2 - Behind bars ,there's one rule ,Fight to survive.